Made in Abyss Season 2: The audience is waiting to hear about the release date for the Japanese anime series, Made in Abyss. Has Akihito Tsukushi put a full stop on the story of the manga series? Or has he began writing another part for the adventure to happen? The fans’ eagerness to know more about the series isn’t over yet. On the other hand, the team is not thinking to pack their bags and leave. Instead, they are gearing up for the second installment in the series. The journey into Abyss may show every phase of life, death, poisons, and blessings. Through you real life, there may only a single path for all the factors. But Abyss is something which will provide you with every kind of experience. 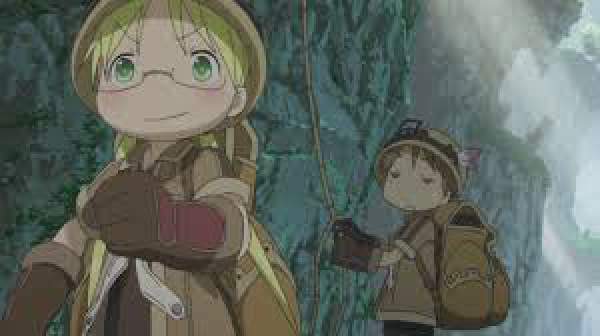 1.4 Made in Abyss Season 2: Are there sufficient Manga chapters for Anime? The fans who want such information should once turn towards manga. Akihito Tsukushi has written the story while Web Comic Gamma has serialized and been published it online since October 2012. The manga has been completed up to Made in Abyss volume 6 as of July 2017. However, the announcement for volume 7 hasn’t been made yet. Sentai Filmworks has got the rights for its anime version. So, there is enough source material to be adapted into the anime. The U.S. viewers can watch it online on Amazon Anime Strike. People who are not from the U.S. can go for streaming option through which one can download the episodes from HIDIVE and enjoy watching it. The manga series also has an English translated version which is being managed by Seven Seas Entertainment. But, none of the English version has been released yet. The first volume has been released on January 2, 2018, and the second volume was out on 24th April 2018. July 2018 Update: During Anime Expo 2018, the studio Sentai Filmworks has confirmed that the new installment is in the production stage. Also, they announced that a new movie and an OVA episode will release in Winter 2018. We are hoping that it will be released sometime in 2019. Along with this announcement, Seven Seas Entertainment has also licensed the English translation of the manga series. The Volume 3 and Volume 4 will release on July 31 and October 9, 2018, respectively. The Volume 5 will come out on February 29, 2019. However, the exact release dates for Volume 6 and 7 aren’t out yet. But, it is reasonably correct to predict that it will be published in 2019 itself. The production head Kinema Citrus hasn’t shed any light on the official release date of Made in Abyss s2. But as soon as we get any information regarding the premiere date, we’ll update the article and let you know. Till then, we all can just wait for some news to be out. Now and then some rumors and speculations will be there regarding it. The producer Shinpei Yamashita wants to make the second season. He has ambitions to create Made In Abyss OVA episode titled ‘A Day In The Life Of Maruruk.’ Just like other animes, its future depends on the sale of Made in Abyss manga. The first installment releases in two volumes each containing half. The first one on October 25 and the second one on December 22, 2017. Guesswork might have already been started after reading the topic. Am I right? Maybe! Anything could be there in the mind of the viewers. We can’t doubt the length of Abyss. It’s very-very deep. Some research which includes the latest maps reveals that the Abyss is almost twice the depth of Mariana Trench and it doesn’t have an end. The deepest point is- The Final Maelstrom. That could possibly the point from where Reg came up. the How can we miss the Sea of Corpses, fifth layer? The cliff is not capable of handling humanity. For this, Bondrewd structured Idofront in order to be used as a forward base and dealing with the issue of going to the sixth layer (the capital of the unearthed) is minimized by making a doorway for that. There lead a conversion of human form into creatures by the Curse of Abyss. This procedural factor is determined to be a part of the sixth layer namely, Narehate by Delvers. Horrifying mutations like Mitty who venture to higher layer are often put out of their misery. Remaining people get used to living their lives in the Narehate Village of Illblu. The village of Narehate is developed with a market economy structure. The mutated humans can use the Value as a currency. Some beautifully designed and crafted artifacts bear good value. If we talk about Majikajya, we can say that he thinks of value in the form of scents. Also, his body can hold smells. Let’s have a talk about the Princess of the Narehate, Faputa. Why is the title given to her? Is there anything special that she holds of a great prestige? She just seems to be the dearest one, or we can say, the most lovable among everyone in the village. Besides this, she got some habits like she is quite hyper and wild. She can’t effectively talk to humans. Finally, at the end of the first installment, the viewers came across Bondrewd. Hopes say that the Made in Abyss season 2 would shed some more light on this character, the Lord of Dawn. As we all know, the series will begin from where it ended in season 1. Accordingly, the first thing would be the happenings with Bondrewd and the White Whistles. He is that Delver of the Abyss who have some powers which can make him use an artifact, namely, Zoaholic in order to pass over his consciousness into many other bodies. All his unique and scary experiments have made him get the sarcastic title of ‘Best Dad’. The audience has raised up this title for him. He has adopted a girl named Prushka. She actually took birth in the Abyss and haven’t made to the surface yet. Bondrewd always gives her all his love and affection. Also, he calls her by the name- Meinya. Both of them share a cute bond. This is interesting to be seen in the world of Abyss. Quite a new phase to be seen in the Abyss. Made in Abyss Season 2: Are there sufficient Manga chapters for Anime? What an eye-catching trailer! Extremely exciting to see. The firstly released trailers and promos were made with such crafty hands that put Kinema Citrus, the studio think about the instruments that offer no performance as such. Kinema took every effort to make the anime’s adaptation more creative and lovable. Not a single thought was left that may either ruin or destroy the adaptations. Almost, with great care, Kinema handles the Made in Abyss anime adaptation. All these points can be confirmed just after watching the very first episode. What a fantastic soundtrack! The audience is just left with this compliment after going through the anime. Well, no doubt the efforts were true and didn’t just get wasted. With the soundtrack, the viewers are just able to join with the moments in the anime. This can be regarded as a rating for the manga series. With no doubts, it can be said an amazing viewpoint for enhancing the soundtrack and producing it so well. Some changes or alterations are possible to be looked in the new season. One cannot lose all of its hopes and excitement for season 2 of Made In Abyss so easily. Fantasy isn’t ended. Instead, it’s just begun. And there are full chances that the sales will go higher. If the sales go high, then the door for season 2 is opened. Else, it will be shut down. More adventures are still left to be uncovered in season 2. The finale episode of the first installment used the first half of Made in Abyss manga chapter 26 from the volume 4. So, the good news is that there is enough source material for making Made in Abyss season 2. The six volumes provide 42 chapters, so a second season is possible to be made in 2018 with 12 standard length episodes. What are your views and thoughts with us? Share in comments. Related: Teen Wolf season 7.